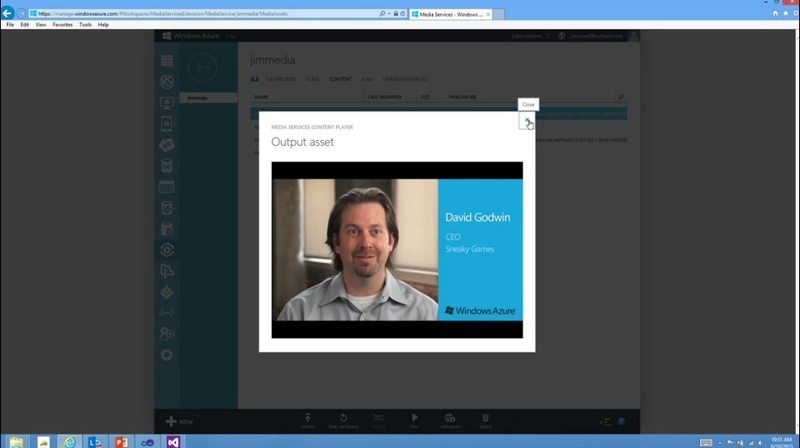 Ok, I admit it, of all the episodes in this series, Windows Azure Media Services is one I dreaded the most. It’s just not a feature I’d ever really touched nor one that I’d presented on. Of all the services in Azure it’s probably the most niche one, but it’s actually quite cool and gave me some appreciation for what it takes to pull all of the video assets together for the myriad Channel 9 episodes, like this one. I won’t admit to completely understanding the differences or benefits of say H.264 Broadband 720p over VC1 Broadband SD 16x9, but if that’s the language you speak, I invite you to take 15 minutes or so to learn a bit more, then give Windows Azure Media Services a spin for encoding, encrypting, and packaging media assets. And if you’re more on the consumption side of things, I also learned there’s a complete Player Framework so you can build immersive applications in Windows 8 and Windows Phone that consume assets you might have stored in Windows Azure and generated via Media Services.